Gift card gaming is the name I have given to the concept of actively buying gift cards where they might be “cheaper” and then using them for purchases to extract full value from them. My preferred way to do this is to buy my store gift card somewhere that gives me the most privileged spending. I would buy a Sobeys gift card at Sobeys with my Scotia American Express card that gives me 4% return on grocery spending, then use that gift card at Freshco, where American Express is not accepted. This way I get the benefit of having use my American Express card at a grocery store, but I got the benefit when buying groceries at a store that does not accept American Express cards. A Scotiabank Momentum Visa Infinite card would also get 4% return on your grocery store spending and it works at Freshco. Sometimes gift card purchases are even discounted. In September 2015, I had a coupon that gave me 100 Air Miles for every $200 in Sobeys gift cards purchased. In this situation, for my $200 of groceries at Freshco, I would be paying only $181 all told, instead of $196 for buying the gift card from Sobeys first. That is a savings of $15 for the trouble. A gift card exchange is a site that buys and sells gift cards for less than face value. In Canada, I am aware of cardswap.ca. Gift cards can also be bought from eBay and / or your local craigslist. In the US, the spreads tend to be quite big (10% discount at many popular stores). In my experience in Canada, the discounts / benefits you can get by buying discounted gift cards are so miniscule that it is not really worth your time to pursue this route. 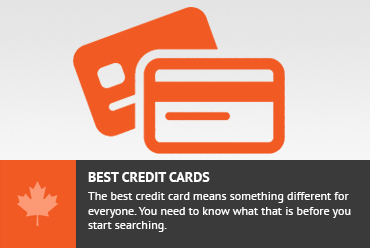 Prepaid Visa and Mastercard debit cards are another tool you can use to potentially see some benefit. In my experience, though, there are often fees (I don’t quite understand why) which end up being more than 3%-4% of the purchase price. ($200 prepaid visa, with a $6.95 fee) This makes them much less attractive. If you can find opportunities to buy these for say 1% fee ($500 prepaid visa, with a $4.95 fee), then you can take advantage of this. You could buy a Prepaid visa at the grocery store where your Scotiabank Momentum or American Express cards get you 4% return and essentially be getting a 3% return on all your spending where Visa cards are accepted (even non grocery stores). The other way that we can look to save money is through couponing. Couponing can save you a lot of money but the effort required is significant. The internet has so much information on how to coupon so I’ll just point you to the right places. In Canada, the best sites I have found for coupon matchups are RedFlagDeals, Mrsjanuary.com and smartcanucks.ca. These sites tend to have forums and coupon matchups showing how to stack deals at all the stores for the current week. Frequenting sites like these are essential for any couponer in Canada. (I prefer hip2save.com and thekrazycouponlady.com for the US). Apart from these, I find that getting coupons tends to be a too much effort for me. The printable coupons tend to be much fewer and far between in Canada (as compared to the US) but there are a handful that can be found. At my grocery store, Real Canadian Superstore, there is a board where 20 or 30 popular coupons are posted. A quick glance there on the way in allows me to grab whatever coupons match what I might be buying that day. When I was living in the US, I used to be an extreme couponer. I would generally go to the drug store (CVS) and come out with 2 bags worth of goods having paid nothing or even been earned money for buying the items. The wealth of knowledge and tips / tricks that exist in the US is very rich. I have found that in Canada, grocery store couponing is not nearly as profitable or easy. There are many fewer printable coupons, which means much more planning is required. Primarily for this reason I find it difficult and not worth my while. There are many strategies you can employ to discount your groceries. 2 of the more advanced strategies are gift card gaming and couponing. Gift card gaming tends to be more strategically figuring out how to pay for your goods. Couponing tends to reduce the purchase price of your goods. Don't subscribe All Replies to my comments Notify me of followup comments via e-mail. You can also <a href='https://www.creditwalk.ca/comment-subscriptions/?srp=4428&srk=2648578ecea05c83754707575dc5a494&sra=s&srsrc=f'>subscribe</a> without commenting.